Whether you're interested in getting a Tarot reading or looking to get into doing it yourself, it's important to know the facts. From getting the right energy from a deck to properly preparing, these six things will help guide you the next time you're involved with a Tarot card reading. When you use a Tarot deck, it becomes an extension of yourself. Thus, you can't give someone else a deck you've used without first cleansing it entirely of your energy. You and only you can use your deck until you die. A Tarot deck holds your energy. It doesn't matter if you're just reading for yourself--you should still do everything out loud. The reason for this lies in Tarot tradition. Originally, Tarot was all about storytelling and oral skills. Speaking out loud follows its own path, hitting at the heart of the meaning you seek. 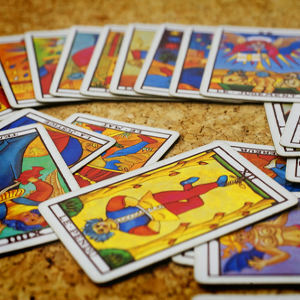 If you inherit or otherwise can use the deck of a Tarot reader--especially a strong psychic--who has passed away, you'll likely get more accurate readings when you use that deck. However, you should take some precautions. Before you use the deck, seriously consider performing a cleansing ritual. This will prevent negative energies from coming through to you. This deck will have had many hands touching it, and it will be well-used before it's your turn. As a result, the cards have taken in tons of energy. This includes the good and bad, the dark and the light. Though the accuracy of the former owner can help you, you don't want these unwanted energies to affect your readings. Though this advice doesn't fit every reader, it's often not recommended that you read for yourself. This is because of how you'll interpret the cards. Many people interpret the cards to fit meanings they're searching for when reading for themselves or for people they know very well. The readings become tainted, since they read to get desired or expected results. Still, not everyone agrees with this caution, and many successfully read for themselves. You simply need to read for what you see, not what you want yourself to see. Few people can truly do this, but if you can, you're very lucky. For the best results, contact an online psychic and see what their cards have in store for you. Because things take some time to unfold, it's important not to read for the same thing too often. You shouldn't read for the same person and the same issue more than once in a lunation. That's a month or even longer. Preparation is essential for an accurate reading. Before you touch the cards, wash your hands, then center yourself. Get into the moment by grounding yourself. Light a candle and ask for protection and guidance. Be sure you keep in mind the needs of anyone for whom you read. Keep tissues on hand, and let them choose from a deck that speaks to them. Readings should bring clarity and bring you closer to the techniques of the Tarot cards. There is always something new to learn as you get involved with Tarot cards.